Charming Cafe Fruit Basket note cards Thank you to my team! 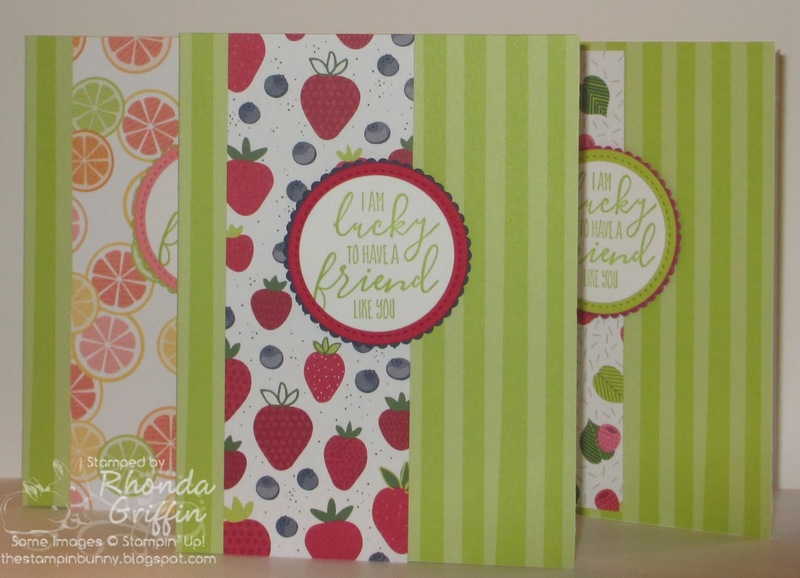 It is the last day to earn the Sale-A-Bration, Tutti Frutti Cards and Envelopes with each $50 order ( before tax and shipping charges). 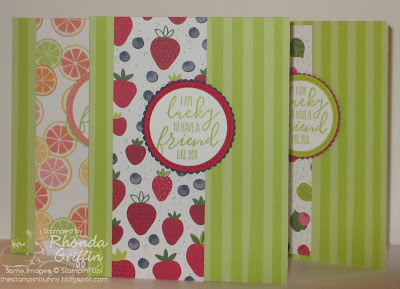 These cards are great with designer series paper to create quick yet cute cards! The sentiment from the Charming Cafe Stamp Set was perfect for these cards, and for a variety of friend uses! Because of my customers and my downline, I earned Silver Elite level with Stampin' Up! yesterday, and I am pretty happy. I made these cards for demonstrators who are signed up under me with Stampin' Up! as a Thank You. I really appreciate everyone who chooses to order with me or participate in stamping! Just call or email if there is something you need! Sale-A-Bration ends tonight/March 31, so don't delay!